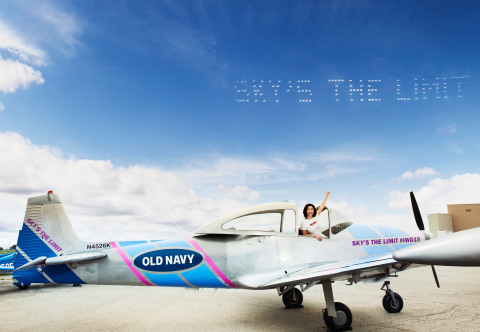 SAN FRANCISCO--(BUSINESS WIRE)--Old Navy is celebrating International Women’s Day and Women’s History Month with an inspiring campaign that encourages women and girls to know the sky’s the limit. 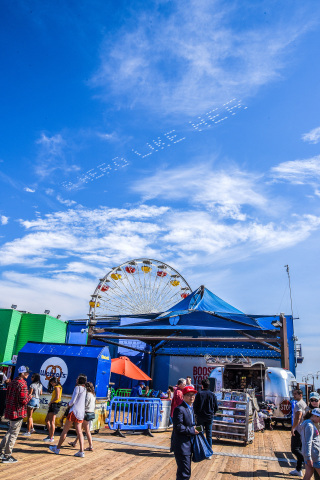 The family apparel brand is encouraging people in Los Angeles and San Francisco on Friday, March 8, and New York on Saturday, March 9, to go outside, look up, and read sky-high words of empowerment placed by professional skytypers. At Old Navy and Gap Inc., women have been at the leadership table since day one. Doris Fisher, co-founder of the company, shattered the glass ceiling when she opened The Gap with her late husband Don almost 50 years ago, matching him dollar for dollar in investment. Today, women make up over 71% of Old Navy’s leadership team (vice president and above), and 79.8% of Old Navy’s field and headquarters employees are female. Gap Inc. was recently named in the 2019 Bloomberg Gender-Equality Index for the second consecutive year for its continued commitment to advancing women in the workplace, and was the first Fortune 500 company to confirm equal pay for equal work in 2014. 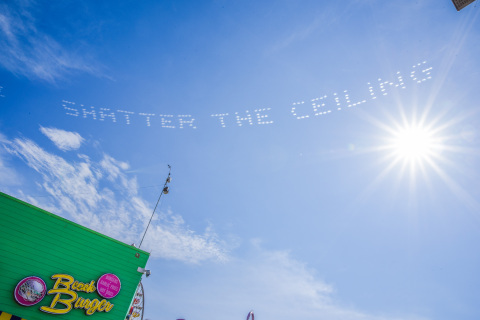 To kick-off the activation, actress Lana Condor joined the Old Navy skytyping fleet in Los Angeles, alongside fellow HERo, Suzanne-Asbury Oliver, the nation’s only professional female skywriter, to celebrate Women’s History Month and share how they shattered the ceiling in their respective fields to inspire others to come. 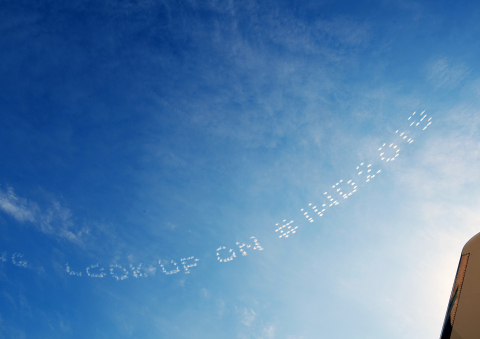 The brand invites everyone to share their own #skysthelimit story and sky-high words of wisdom, share photos and spread awareness with @oldnavy and #skysthelimit. In celebration of International Women’s Day, Old Navy is honoring the amazing women who produce their clothes with a $25,000 donation to the non-profit organization CARE in support of P.A.C.E. (Personal Advancement & Career Enhancement), Gap Inc.’s education and empowerment program for women in developing countries. Launched in 2007, Gap Inc. created the P.A.C.E. program to support women working in the global apparel sector. Learn more at www.gapinc.com/PACE. Old Navy is also offering a limited-edition collection of International Women’s Day tees in-stores and on www.oldnavy.com with inspiring designs that read HERO, I’m With Mama, and wise, hopeful, mighty, authentic, kind. Old Navy is a global apparel and accessories brand that makes current American essentials accessible to every family. Originated in 1994, the brand celebrates the democracy of style through on-trend, playfully optimistic, affordable and high quality product. A division of San Francisco-based Gap Inc. (NYSE: GPS), Old Navy brings a fun, energizing shopping environment to its customers in more than 1,100 stores around the world. For more information, please visit www.oldnavy.com. 1 Skytyping activation dependent on clear weather conditions. Follow @oldnavy for updates. 2 Timing of activation is subject to change based on weather conditions and air traffic in each city.